The Yoga Community was founded in 2002, and is dedicated to the teachings of Swami Sivananda and Swami Vishnu-devananda. We offer classes, courses, satsangs, workshops, special guests, and retreats, all in the pure Sivananda yoga tradition – as well as creating a place for you to feel comfortable and at home, no matter who you are or where you’re from. The instructors of the YC have all received certification through the International Sivananda Yoga Vedanta Centers (www.sivananda.org) and we maintain the joy and purity of these wonderful teachings in our classes. Susan Nicolas (spiritual name Bhagavati) founded the Yoga Community in 2002, where she teaches weekly yoga classes and organizes retreats, workshops, and satsangs, as well as assisting with training teachers. She received her international yoga teacher’s certification through the Sivananda Yoga Vedanta Centers in 1995 and went on to serve as staff in this organization, teaching and practicing yoga throughout the US and the Bahamas. She is also the mother of two boys, a massage therapist, and a former professional modern dancer. Susan is deeply grateful to the gurus for this beautiful tradition, and grateful for YOU, the Yoga Community. Dana van Breukelen grew up in a yoga ashram and has travelled to India many times. While studying Anthropology, Hindi, and Hinduism in Amsterdam, she discovered the Yoga Community and felt very much at home with the Sivananda tradition. She appreciates the holistic inclusion of asana, pranayama, and mantra in every class, allowing us to reaccess inner stillness and bliss on all levels. She finished her TTC in 2016 in the Himalayas and loves sharing this practice as a teacher at the Yoga Community. Making music and singing mantras is another yogic path she enjoys very much. After Gregory Forster was introduced to yoga by a good friend, he continued practicing on his own for many years. When he went looking for a group class he finally found the Yoga Community and knew that this was the place for him. He became a Sivananda teacher in India in 2013, and has been happily sharing his passion for yoga with others – first at his house and now very gratefully (for everyone :) at the Yoga Community. Gregory is a father of five wonderful children (who also practice yoga with him) and a high school math teacher. He looks forward to seeing you in class! Marieke Versteegen (Ananda) took a beginners yoga course with the Yoga Community years ago, and it felt like coming home. The joy, stability, and lightness from the practice led her to a more yogic lifestyle, and inspired her to take the TTC in the Himalayas in 2014. Marieke feels drawn to the devotional path of Bhakti yoga and chanting, she also loves to share yoga with teenagers, helping to bring positive body-awareness and inner connection during this challenging time. 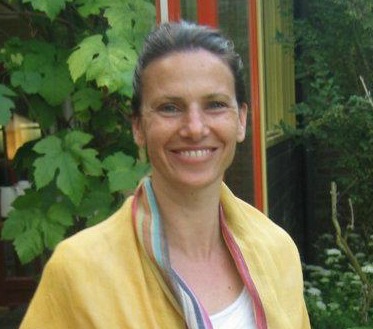 Marieke is blessed to be a part of the Yoga Community, sharing the wonderfully balanced and meditative teachings of Sivananda Yoga. Palmyra Bakker has been on the yoga path for more than 15 years. She completed her Sivananda yoga teachers training in the Himalayas, an experience that had a big impact on her life. Palmyra’s passion for yoga stems from the strength the practice gives her in the face of difficulty, as well as the sustained feeling of oneness, flexibility, balance and transcendence she experiences from yoga. Palmyra greatly enjoys teaching yoga and having the opportunity to share these deeply positive experiences. “Cultivate pure love slowly in the garden of your heart. Nice to know you are here! I finished TTC in Nassau in may last. Just a pity that we are 140 km’s apart…. Thank you for your message. It isn’t necessary to sign up beforehand for the yoga class on the 19th – though prior knowledge of the Sivananda yoga class series is required. We hope to see you soon!